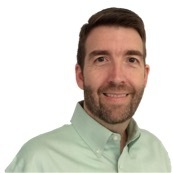 Russell Miller is a project engineer and agile coach, where he uses engineering experience, analysis skill, and lightweight, agile process control principles to solve complex problems. He is a visionary doer who leads the way for others in areas of incremental analysis, team formation, and agile practices for software development. Today, he is responsible for large custom software development initiatives, developing agile training, and implementing agile process control mechanisms. Russell is a Scrum.org Professional Scrum Trainer, and teaches and coaches on Scrum, agile software development, and business analysis. For much of his early career, Russell was a design engineer. His design work includes automobile engine components, flight control surfaces for luxury executive aircraft, airframe structures for hurricane hunting aircraft, and mechanical systems for air dominance fighter aircraft. Russell later developed and used his engineering experience and business analysis skills in development of engineering software products. Using Scrum and a servant-leadership approach, he became successful as a Scrum Master and Product Owner for complex software products. Learning from Ken Schwaber and Jeff Sutherland, he has delivered products where others have tried and failed. Russell and his family live in a suburb of Atlanta, Georgia.